Looking for a spread for your raw wrap? Or something to pair with a green salad to add a little more substance and flavor? Browse through our curation of dips, spreads, cultured foods and sides, and you're sure to find some favorites. Want to spice up your Monday? 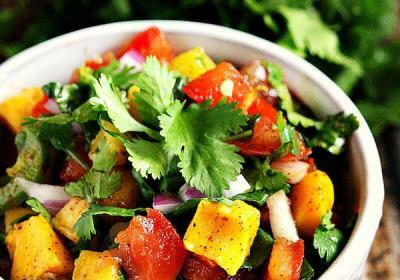 Whip up this healthy salsa by Karielyn Tillman of The Healthy Family and Home featuring juicy mango, fresh tomato, cilantro, red onion, jalapeno and a delicious lime dressing. Serve with your favorite organic corn chips or flax crackers, or turn it into a meal by loading up lettuce boats with salsa, avocado, and maybe some cashew sour cream. Enjoy! 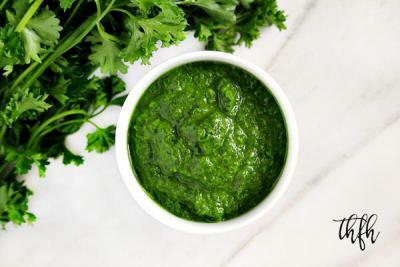 This Raw Vegan Chimichurri Sauce by Karielyn Tillman of The Healthy Family and Home is a simple but flavorful sauce made with fresh, wholesome ingredients that can be used for so many vegan dishes. You can make this recipe in less than 5 minutes with a Vitamix and after picking up some fresh herbs like organic parsley and organic cilantro. You will fall in love with the tangy flavor the apple cider vinegar gives it. 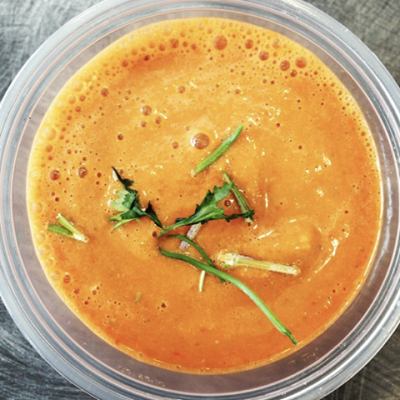 This Carrot, Coconut & Ginger Soup by Amanda Brocket of The Raw Food Kitchen has all the ingredients to help keep your taste buds singing, and your body warm while the spring weather flip flops - warm one day, freezing the next. Enjoy! 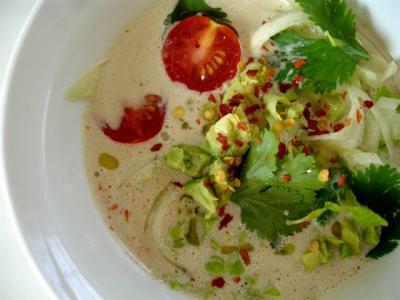 A creamy and deliciously flavorful raw soup by Lisa Viger of Raw on $10 a Day or Less. This recipe is hearty and filling and rich with immune-boosting lauric acid, as well as metabolism-boosting medium chain triglycerides, thanks to whole, raw coconut butter. It also packs a nice punch of heat thanks to red pepper flakes and cayenne - so you'll be warmed up from the inside out, despite the recipe being raw. Enjoy! 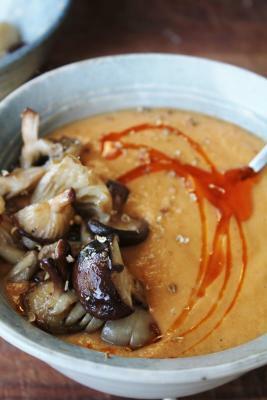 This recipe by chef Lena of www.mypureveganfoods.com will give you a warm soup without the need to cook and saving all enzymes. 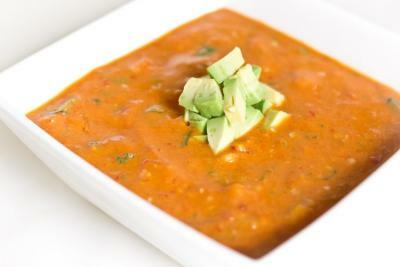 This delicious soup can be served chilled or warm, and either way it tastes amazing! Haven't yet struck the recipe jackpot when it comes to the nutrient-rich, chlorophyll-laden, fiber-packed, cleansing, and alkaline-forming wonder known as green soup? This one by Elenore of Earth Sprout may stand to utterly change your outlook on the concept of green soupage - completely delicious while delivering all of the aforementioned health benefits. Don't skip over the ginger cream - such a dreamy addition. 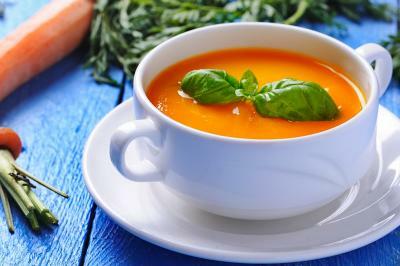 Who says that you can't enjoy a warm bowl of hearty soup during the winter on a raw foods diet? 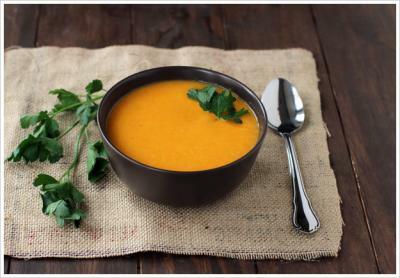 This nourishing pumpkin soup by Kelly Fielding of Bella and Bhakti can be warmed gently on the stove top, or alternatively you can lightly steam the pumpkin before blending with your other ingredients. This recipe is full of spice and flavor -feel free to play around with the various seasonings to make your own unique taste buds come alive. 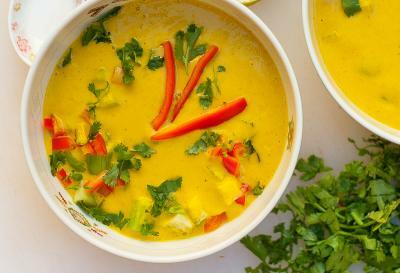 This creamy curried coconut soup by Ani Phyo will hit all the right spots. We naturally start to crave more healthy fats during the fall and winter seasons as our bodies adjust to colder temperatures. 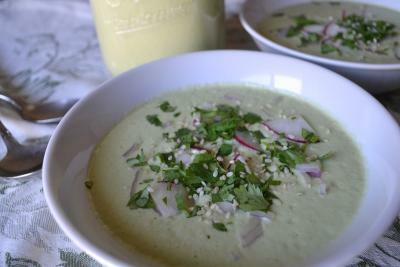 Avocado and coconut oil (both star ingredients within this soup!) are great options as they also happen to be easy on digestion. 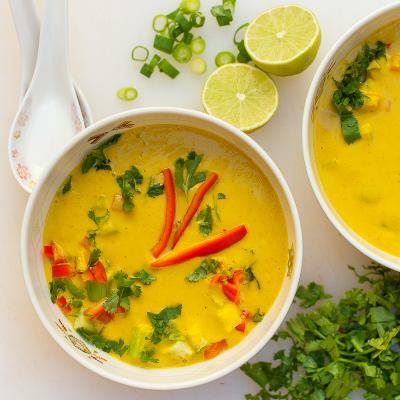 Along with a luscious creamy texture this soup also packs in some serious flavor with a nice pop of curry, cilantro, garlic and lemon. Quick, tasty and packed with nutrition! 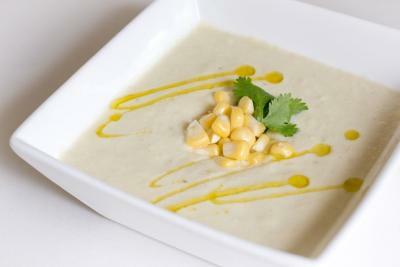 This nicely flavor-balanced and cleansing soup by Jodi Burke is rich in both nutrition and enzymes. 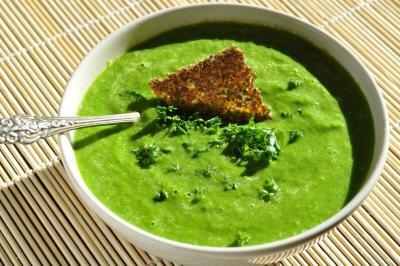 Green soups make for a light and refreshing way to incorporate more leafy green goodness into your diet, especially if you are limiting sugar and need something other than a salad to nosh on. You can use chili or warm water for added heat, however this time of year leaving things cool might be just what the doctor ordered. Enjoy! 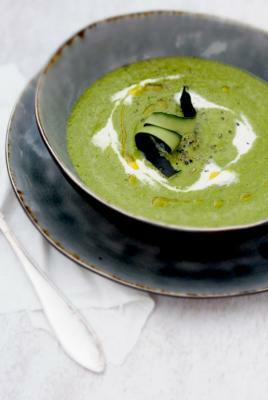 Craving a hearty bowl of creamy broccoli soup? You've stumbled upon the perfect recipe! This delicious creation by Ann Oliverio of An Unrefined Vegan will absolutely hit the spot any day of the week. Creamy, rich and full of savory flavor, it requires absolutely no cooking so you get all of the nutrition that these wonderful ingredients have to offer. Enjoy and be nourished! 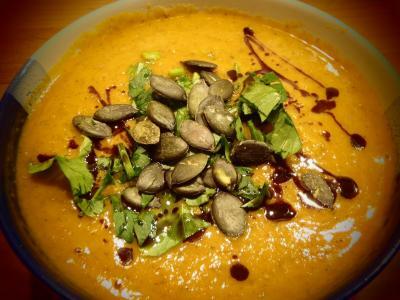 A raw blended soup by Emily von Euw of This Rawsome Vegan Life perfectly tailored for the winter season! Make it with hot water if you're craving a little warmth in your belly, however the spices of cinnamon, cumin and ginger are definitely warming in and of themselves. Serve with raw crackers and a delicious side of greens.